The Eastern New York Marine Trades Association (ENYMTA, Inc.) is dedicated to advancing the marine trades industry throughout the following Northeastern Regions of New York State: Catskills Region; Capital Region; Saratoga Springs Region; Lake George Region; Northern Adirondack Region; and the Champlain Region. Incorporated in 1975 as a 501-c3 nonprofit organization, the ENYMTA membership consists of 41 regional marine businesses (primarily marinas, boat dealers, and marine product and service providers) who have joined together to exchange ideas and information; further cooperation among members; and develop mutually beneficial services such as The Great Upstate Boat Show, The Lake George In-Water Boat Show, and boating educational programs, such as boating safety seminars. As an affiliate of the Empire State Marine Trades Association (ESMTA), ENYMTA, Inc. leads efforts to increase awareness of legislative interests related to the marine industry throughout New York State. Our organization also regularly participates in programs dedicated to educating the public on a wide-variety of topics such as boating safety, environmental and invasive species awareness, and the protection of public boating access. Boat Upstate NY™ is an effort founded by ENYMTA, Inc. in 2015 to more closely collaborate with marine business owners, manufacturers, NYS conservation agencies, industry media outlets, and other regional private and public partners to share key Upstate NY boating information. 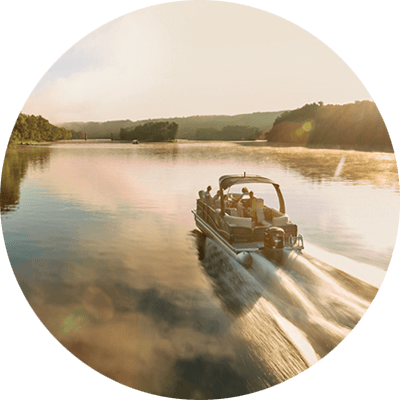 Our goal is to provide all boating enthusiasts with an interest in Upstate NY to be able to find the marine products, services, and resources they need in one place, to enjoy their boating experiences to the fullest. Our thanks and appreciation to those who serve! What other related associations do you belong to? What body of water are you accessible to? I hereby make application for membership in the Eastern New York Maine Trades Association and agree to abide by the bylaws. I understand that Regular Membership automatically includes membership in the Empire State Marine Trades Association and by dues are through my local association. Once accepted as a Regular Member I shall be entitled to all membership privileges of the association according to the bylaws. I agree to the Terms & Conditions and submit this form as my signature... etc.